Lots on here about green screen. I do seem to be affected but not as badly as other (see pic)s.
However, is anyone else suffering from this frequent camera error (see pic)? It occurs in a variety of camera modes and also affect ability to use facial recognition. I'd normally just exchange unit but real chance of ending up with a worse screen at present it seems. Anyone in a similar position? As everyone suggested, and we can also confirm from our part, using a third party launcher can cause compatibility issues with the pre-installed camera on our Huawei devices. We cannot ensure a 100% compatibility with third party launchers as we are not the personal developers or designer of those, therefore, we strongly advise our customers to use the EMUI launcher in order to benefit of all the experiences and features the camera provides for the Mate 20 series devices. Okay, this just happened again and cut out my Bluetooth connection (was using headphones at the time) ‍♂️ It has happened previously without ant Bluetooth connected. Getting harder to justify keeping this. What emui version are you? I believe 9.0.0122 resolved that issue. Also are you using a launcher? Thanks for response. I'm on 9.0.0122. I am using Nova but it's happened on stock EMUI launcher too. Hey, I have the same issue with occasional "camera error" - it happens when the AI is engaged and seemingly more often when it needs to work hard. I'm on the 8gb ram version, 9.0.0.126. If its is possible to pm me with the IMEI and Build number of the device with a #camera tag as well there are a few troubleshooting's i would like to attempt with anyone that is willing before i set on the topic. I cleared data and rebooted, and the problem hasn't shown itself since, so (knock on wood) – this might just be the solution, at least for me. And now, the camera has failed twice again. It seems like it fails when trying to "refine" the picture in low light or when doing a night picture. Both times, it shoots the picture and then goes into an irrecoverable loop. When I close the camera and open the gallery, the picture is shown, darkened, with the words "loading" across. Eventually, it resolves, and either drops the picture or the picture is there. But I have to clear the data and reboot to get it to work. I'm now considering to reinstall the entire phone before giving up and returning it. Hey, are you using a third party launcher by any chance? I had this exact issue when I was using Nova launcher. Having reverted to stock it hasn't happened once. Did you send Max a pm? He'd like to try a few troubleshootings on this issue. I have the same issue as above and would like to it already happened several times that a App like whats app and or other apps that use the camera also freeze when the camera is not available. Could you advise on this, as it is happening more often the last week and if there are known solutions? As I consider the same as Dogbert again reinstall, otherwise returning it. I did now. After a complete reinstall it is still failing every 30-40th shot, typically on "night" or low-light "refining your shot" pictures. Hey Dogbert! Are you using a third party launcher? I had this exact issue repeatedly while using Nova launcher but having moved back to stock EMUI it hasn't happened once. Hey Jmoon, I first used Nova, uninstalled, now using Action Launcher. But the problem persists with the stock EMUI. Anyway, it really shouldn't happen with a launcher, no? It also seems like it happens *inside* the camera unit – only every 30-40th shot. First I would like to thank all the members in this topic for the suggested troubleshooting's and the creative workarounds. Great job @all ! Sorry for the delay. Yes, you're right that it shouldn't happen at all. On my first phone (replaced due to green screen) it only occured when using Nova, so I put it down to a third party issue. That said, on my replacement phone the camera error hasn't happened at all (on either Nova or EMUI). Hi guys, I'm also seeing this problem and coincidentally am also using Nova Launcher, but likewise agree that it is strictly a camera problem and isn't related to the launcher. I also noticed that it seems to happen only in low light conditions where the AI is processing the image and it suddenly tells me "cannot connect to camera". The first time it happened, it got stuck on "loading" and jumped out of the camera app. Upon reloading, it says "cannot connect to camera". The second time, it went straight to "cannot connect to camera". I have not had trouble taking photos with other apps like Wechat or Whatsapp, so I believe the AI is crashing when performing low light image processing. I don't think I have encountered this during daytime. When I had this issue I tried looking in usual places for advice (here, XDA, Reddit) but really couldn't find much at all, so I'd say it's a fairly isolated problem. The error would occur for me in the same situations as for you, but only when I was using Nova. When I switched to EMUI it seemed to stop, but that may just have been coincidence. I'm on my second phone now and have not had the error once, although I've mostly been using the stock launcher. It certainly sounds like you need to have this investigated further and return/ exchange if found to be faulty. Incidentally, if you are on Nova check out Fluid NG, which solves some of the glitches with gestures (especially swipe up for home). I'm having same issue with mines... Getting really annoying though. I'm having the same issue. I just tried taking a macro shot in normal camera mode with flash (in a semi low light environment) and the shot was taken but the photo kept showing "processing" for a long time and the camera had error message saying cannot connect to camera. This is the second phone that I'm having the same issue now. 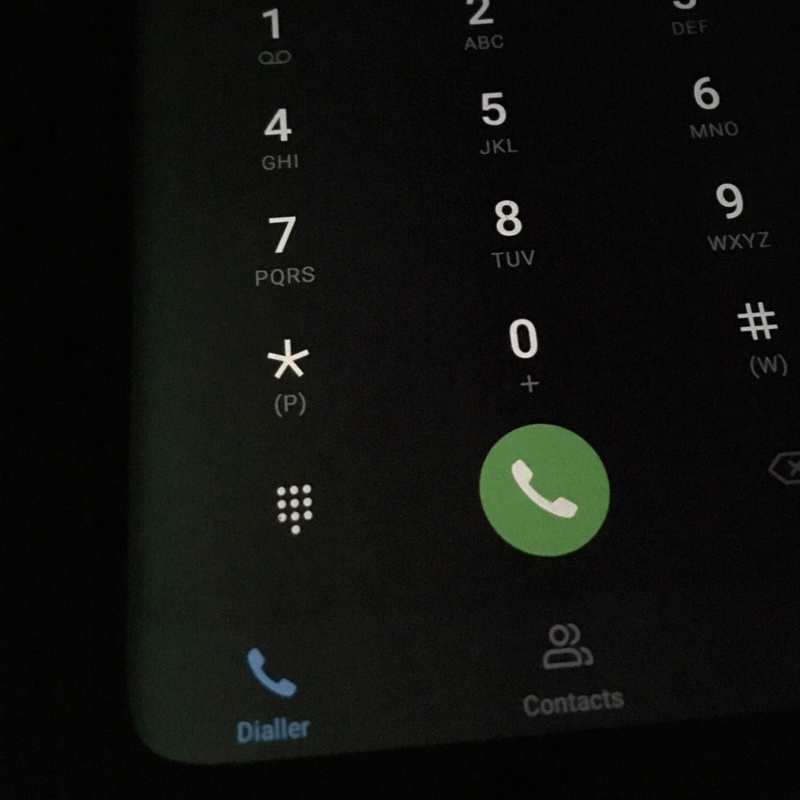 I exchanged the first phone thinking there was something wrong with it and now it's doing the same thing. I have Nova launcher installed but this happens to both stock and Nova launchers. I'm running build 9.0.0.126 patch 2. A reboot will solve this temporarily but the error will occur again. This is super annoying and I've missed a lot of photo opportunities due to this. Really hope this can be fixed and soon. You guys might want to try turning off Master AI and 4D predict focus, that would might solve your issue. to test out try your normal shot if it still delays for some milisecond if not then thats a good sign, you can also try burst shot as doing burst shot will bring out the error if not then that means it is working ok and issue occur when AI is doing its thing. Hope this helps. It's happening to me too. Any solutions? Regards! I only had this issue when using a third party launcher (nova) and once when I connected to free wifi? I've not had it occur while using default emui launcher, daily use for 8+ weeks. I'd try removing launcher. Factory reset, software update if available then use camera as and when with emui. I bought my Mate 20 Pro a month ago and have had major problem with the camera. 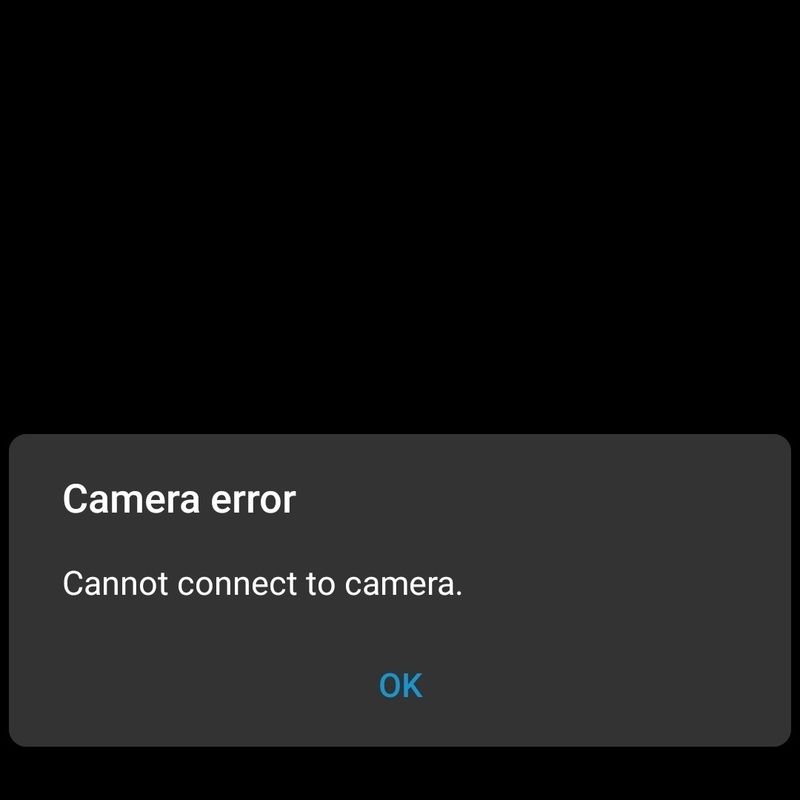 The camera app suddenly shows the camera error message. After this happen the camera is not working anymore. The only way to get it to work again is to do factory reset on the phone. I've now done this 4 times and the last time I only managed to take a few photos before this happened in less than 24 hours after my last factory reset. When I now click on the camera app it just close down immediately. I am on fw build 9..0.0.171. I don't believe it is a hw problem as factory reset fix the problem, but I may be wrong. Any Idea on how to fix this? As @chillphone states above, are you using a third-party launcher (e.g. Nova)? If so, removing this and using the stock EMUI launcher may resolve the issue. I do not know what Nova is. I use the standard apps which came with the phone. In addition I've installed Snapchat, Whatsapp, Garmin Connect, Qnap Vmobile and a few other programs.